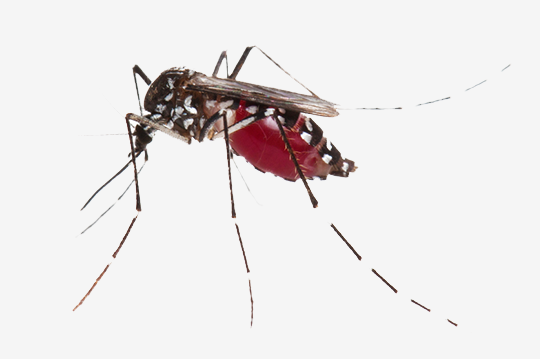 Mosquito Control Sandy Springs, GA | Bug-Off Exterminators, Inc.
All of our mosquito control technicians are well-versed in every facet of mosquito prevention and control. We will eliminate any mosquito problems you have, but even better we will keep them from coming back for weeks at a time. Our pest control techs regularly handle all kinds of mosquito control calls in Sandy Springs, Georgia. They have the knowledge to take care of every mosquito control situation. Our mosquito control techs are experienced handling mosquito control situations in both residential and commercial situations. Whether you need your backyard or your company picnic free from mosquitoes, turn to our mosquito control service. 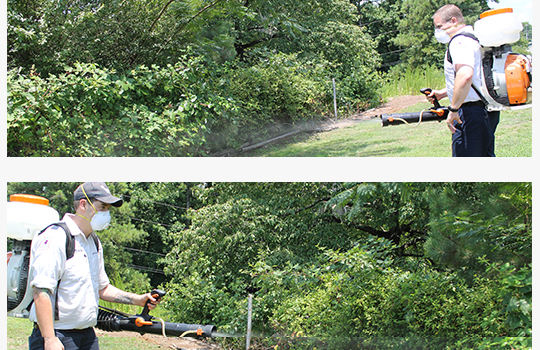 We spray your property with a pesticide that has a residual that last for a few weeks. We can also install traps that provide a targeted breeding ground to exterminate the eggs and larvae. You will need us to come out and spray your property and refresh the traps. Nothing breaks up a backyard barbecue faster than a horde of mosquitoes. When your yard becomes the target of a squadron of mosquitoes biting your guests, the party breaks up quickly. Getting rid of mosquitoes around your property should be one of your top priorities during the summer months. When you turn to our mosquito control service, you will receive experienced mosquito control technicians you can depend on. With our mosquito control service, you will find that we handle your mosquito problem quickly and effectively. We have the expertise to get rid of mosquitoes and keep them from coming back. If you just try to do half measures like citronella candles, the mosquitoes will just keep returning. Turn to a professional service for professional results. When you call us to your property for mosquito control we will be there to apply a pesticide around your property. The great thing about our spray is that we only need to apply it around areas where mosquitoes like to congregate. We spray your tall grass, shrubbery and the like. The residual of the pesticide means that it remains potent where it is sprayed for several weeks. We also install mosquito traps that can exterminate the eggs and larvae. The traps attract female mosquitoes to lay her eggs and then the IGR (insect growth regualtor) inside limits the growth and kills the mosquitoes before they can become adults. The application of the misting pesticide will not harm your plants, and you can count on it to keep mosquitoes at bay for around a month. You do need our mosquito control technician to come out to spray your property monthly for the best prevention. Over time, weather will wash away the spray especially during summer thunderstorms. THis is where the traps come in because they continue to exterminate mosquitoes between services and are not effected by bad weather. Turn to us for monthly mosquito control service. When you get our service, you know that the rest of the month you will be able to enjoy gathering in your yard without having to worry about that annoying whine of a pesky mosquito in your ear. Give us a call to keep your yard mosquito-free all summer long.